Home / Ant-Man / Avengers / Captain America / criticism / Dark Knight / Edgar Wright / Iron Man / Joss Whedon / Logan / Marvel Cinematic Universe / Vision / Wonder Woman / Why Can't Marvel Make Great Films? Superhero movies have become box office gold, but few have entered the realm of being considered great films, none by the most productive studio in the superhero game: Marvel. The Dark Knight returns was considered enough of an Oscars snub that they changed the rules for Best Picture nominations. 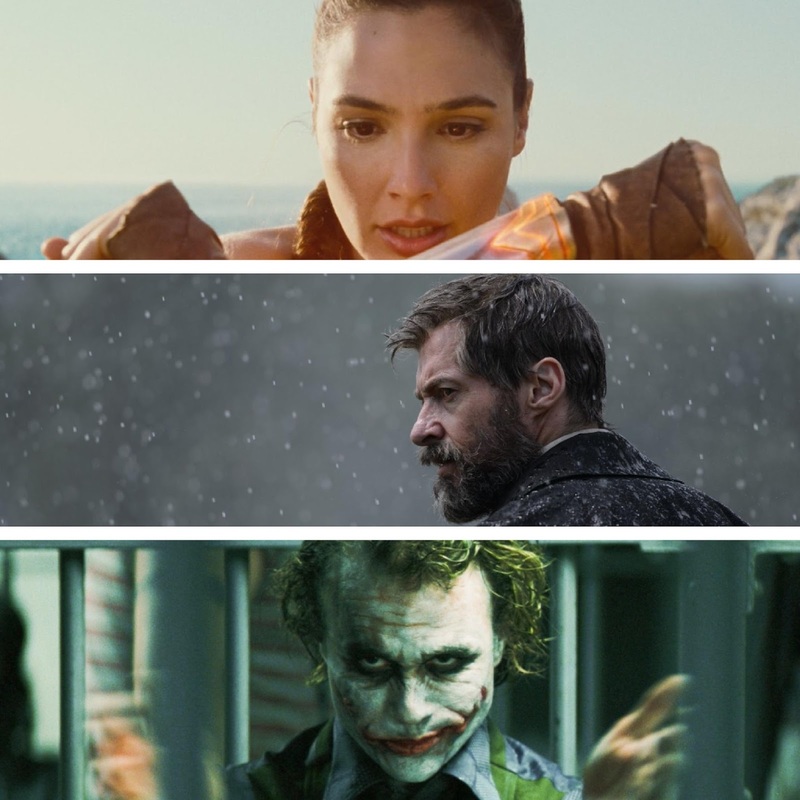 This year, Wonder Woman has received legitimate Oscar buzz as did Logan. However, both will have to contend with being genre picks the same year the incredible War for the Planet of the Apes is eligible. Today, I'll explore the question of why Marvel, with all of the highly successful and fan-pleasing movies it's released, does not seem capable of making an Oscar-worthy film. I've found the answer to be multi-faceted, but with one underlying pattern. Some of the most disappointing movie news to come out of Marvel Studios was the replacement of Edgar Wright as director of Ant-Man. Wright is a stylistically dynamic director, as evidenced by his work in the Cornetto trilogy, Scott Pilgrim vs. the World, and Baby Driver. His films are funny and visually interesting, yet show a lot of heart. If he'd made Ant-Man, it would no doubt have stood out from other Marvel movies because Wright's films have a distinct visual language and pacing. While it is unclear whether Marvel purposely worked to prevent this, reports that they attempted to do a draft of the Ant-Man without Wright involved hints that they tried to rein in his creative tendencies, which is unfortunate. The movie that was made was entertaining, but I have to wonder what might have been. Moves like benching Wright point to an unfortunate tendency that Marvel has, which is to rein in creative tendencies of their directors. The personality of Marvel movies was established in Iron Man and cemented in The Avengers, and Marvel seems loathe to stray far from that model. It establishes a pattern that all of their movies largely follow, challenging the audience less and less as they move further into the studio's catalog. Downey Jr. would kill this. There's a line of darkness Marvel refuses to cross. 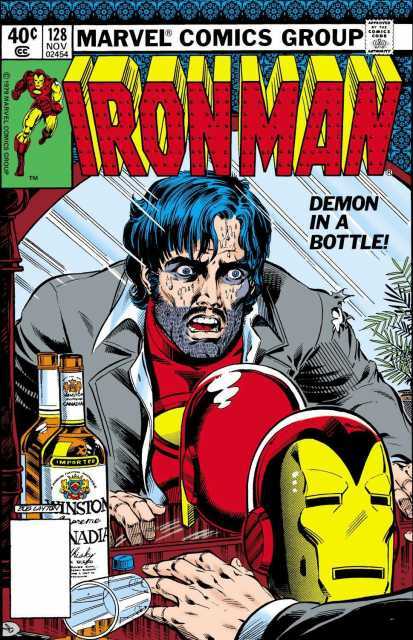 The Iron Man sequels have the opportunity to address alcoholism and PTSD, but fail to complete the journey. Iron Man 2 contains just enough touches of the "Demon in a Bottle" storyline to be labeled a nod, but Tony Stark's drunkenness is merely a narrative crutch to set up situations for him to deal with, eventually disappearing magically from the script prior to the final act. Iron Man 3 makes heavier use of Tony's post-Avengers PTSD, but again just uses it to set up its plot, putting it back on the shelf by the end without showing him really working through it. Both are conveniently forgotten in all the other movies, just like his righteous anger from Captain America: Civil War disappears in scenes shown in Spider-Man: Homecoming that logically take place some number of minutes after his best friend is hospitalized. Bettany would kill this too. Those examples also fit another pattern Marvel has established, which is to keep its drama largely external. Internal turmoil like alcoholism and PTSD give way to physical fights with villains because those are easier stories to tell. We see this in other cases as well. 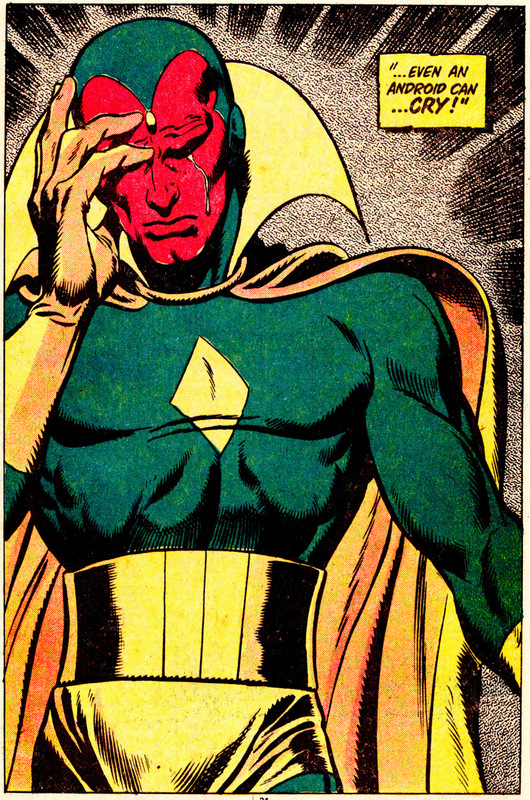 The Vision is introduced in Avengers: Age of Ultron, giving Marvel the opportunity to adapt the wonderful story, "Even and Android Can Cry", but Marvel neuters Vision's story, using Thor's hammer as a convenient mechanism to earn the Avengers' trust and then turning Vision's quest to be more human as a side joke involving sweaters rather than spend time on him truly trying to understand humanity. Paul Bettany is clearly a good enough actor to execute scenes like that, but he's sadly never asked to do it. Marvel movies have plenty of drama, but how they manage that drama is somewhat problematic. They also contain plenty of comedy, which is one of their strengths. Maintaining a healthy sense of humor is how Marvel avoids producing dour slogs like Warner Bros. has had the unfortunate tendency to release. The problem is in how they mix their drama and comedy, with the comedy often used to undercut the dramatic tension, weakening the power of the dramatic scenes overall. As the following video from Just Write shows, bathos is the disjointed coupling of high drama and common humor, and Marvel does this in spades. One thing I think the video should have pointed out is that, while Whedon does recommend telling a joke after a dramatic moment, he tends to wait until after the dramatic climax is over, using the joke as a means of letting the audience release their collective breath. And this is an important distinction, because Oscar-nominated comedies like Philomena and Nebraska are incredibly funny, but succeed as films because they know when to set the jokes aside and let their dramatic aspects breathe. As the video shows, many Marvel films don't get that distinction, instead punctuating the drama with a joke, which robs it of its power. I think it's telling that Captain America: Winter Soldier, often considered Marvel's best film, does this the least. This doesn't seem the most imaginative slate of comic book villains, instead kind of reading like a liberal's version of the Legion of Doom. Hand this to a die hard Democrat, and they may think it's a list of 2016 GOP presidential candidates at first. Beyond the lack of diversity, aside from Loki (who had multiple movies to build up a complex range of motivations), all of the early Marvel villains were very simple in their makeup. They were obviously the villains, their motivations were no mystery, and they served as a straightforward obstacle for the hero to overcome. There was no hook to make the audience give them a second thought. While having a great villain is not an absolute necessity to be a great film, it certainly helps. The Dark Knight elevates its main villain to a starring role, centering its narrative around the physical, mental, and emotional combat between two equals. If the Dark Knight trilogy were Henry Fonda westerns (bear with me here), both Batman Begins and The Dark Knight Rises would be My Darling Clementine, with a sheriff attempting to clean up a lawless town. The Dark Knight, on the other hand, is Once Upon a Time in the West, a tale of two relatively even gunmen locked in a duel that becomes increasingly personal. Powered by an Oscar-winning performance by Heath Ledger, that dynamic relationship between hero and villain, yin and yang, pushes The Dark Knight beyond just a well-done superhero movie into being excellent cinema. Marvel has not had that type of villain to push any of its movies. Of this group, Helmut Zemo and Adrian Toomes make the most promising villains. Zemo, unfortunately, is underwhelming in his villainy. Though to a certain extent right -- in a different script that didn't involve terrorism, he could have actually been a hero -- Zemo ends up just being an undirected plot device. He wanted to disrupt the heroes and cause them problems, but had no clear end game in mind. He was just a walking plot device, which is not exactly the most compelling agenda for a movie villain to have. It helps to have a great actor in the role. On the other hand, Adrian Toomes is perhaps Marvel's most interesting villain not played by Tom Hiddleston. He was unfortunately lost in the background for half the movie while Marvel turned Peter Parker into Iron Man Jr. and focused on those high jinks to the detriment of the more interesting story staring them in the face. 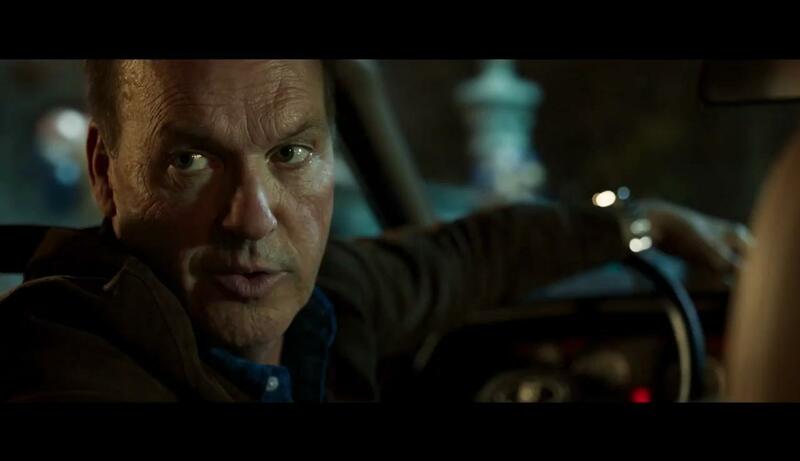 When the movie finally turns back to a clear focus on Toomes starting with Homecoming night, Spider-Man: Homecoming becomes possibly Marvel's strongest film. If they'd made the entire movie to match that last act of the film, there might not be a point to this post. I confess I hadn't thought about this until I ran into the video below by the YouTube channel Every Frame a Painting, but Marvel's musical scores are just not inspiring. Vintage rock and pop songs are used to good effect in Guardians of the Galaxy, but that conceit is about the only phonic thing that anyone remembers from that film. Marvel does not make memorable scores, and it appears to be by design. There's a certain degree of uniformity across the Marvel Cinematic Universe, and the musical score seems created to avoid having a deep impact on the viewer. Instead, it's background noise -- usually appropriate to the mood of the scene, but never taking over and pulling the scene forward. Great scores don't guarantee a great film, and great films don't require a great score. But as with villains, it certainly helps. Critically acclaimed blockbusters like Jaws and Star Wars partly invaded public consciousness through highly memorable scores. The fact that Marvel movies don't push the envelope musically does, I think, a disservice to their stories. Perhaps the closest Marvel has come to generating a memorable score was Avengers, which has a relatively easy to pinpoint theme (that gets reinforced in other Marvel movies) that I would imagine most viewers would struggle to recreate if asked to hum it. 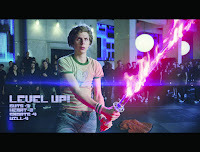 Another technical element that I had not considered until researching this article is Marvel's homogeneously flat look to their films, as explored in the following video by Patrick (H) Willems. At this point, it's obvious that the problems are more stylistic than technical in nature. Marvel movies all have a similar visual look, and I'm sure this is studio mandated to establish and keep a "Marvel look". That's unfortunate, because superhero films would seem to be prime material for portrayal in dynamic visual environments. One has to wonder how gorgeous a Marvel film shot with the visual flair of a Mad Max: Fury Road or a Life of Pi would be. Sadly, this is one area where almost every superhero film struggles. Someday, I'd love for Marvel to take a chance here, and based on the trailer I've seen for Black Panther, maybe I'll get my wish. In the meantime, the visual homogeneity of the Marvel Cinematic Universe continues a pattern. One thing I appreciate about the DC movies is that, though they largely fail, most of them attempt to be about something. The fact that they swing and miss so often gives them a not unfair reputation as being inferior to Marvel's product. But as a fan of cinema, I appreciate the attempt to elevate the purpose of the films beyond an afternoon trifle. When Disney/Marvel misses on their films, like they did with Age of Ultron, the result is just a forgettable film. No one lets the fact that there have been bad Fast and Furious movies deter them from seeing another one because all that's expected is fun. When Warner Brothers/DC misses, the result is a memorable failure. Part of me wishes they would play it safe like their competitors do to increase their hit rate, but honestly, I maintain hope that one of these days, they'll capture that magic in a bottle and surpass The Dark Knight in quality and maybe earn the first ever Oscar for a superhero film. After its many recent misses, Warner Bros. largely hit with Wonder Woman, and it has earned some Oscar buzz. Meanwhile, Marvel continues to play it safe, putting out solid but unremarkable movies. And that's fine: there's no requirement that every movie has to try to be Oscar-worthy. But I would love for Marvel to break out of its mold sometime and really go after cinematic excellence.